Bore & Stroke 2.36 in. x 1.69 in. 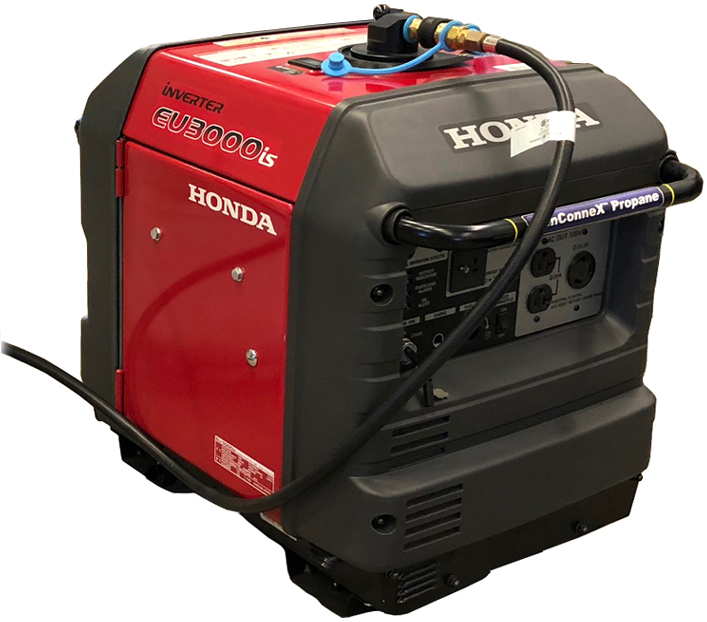 Inverter Generator w/ Genconnex Propane System Model: Honda EU3000iS - Runs on propane right out of the box. No mechanical alterations are necessary. 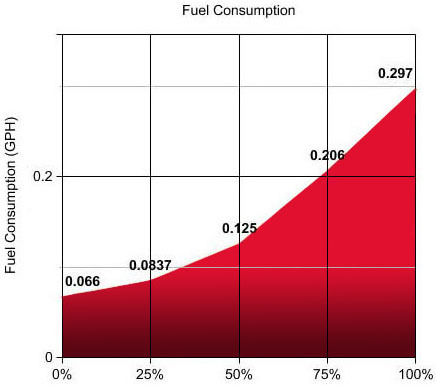 Quietest propane generator in its class at only 50 dB(A) at 1/4 load. 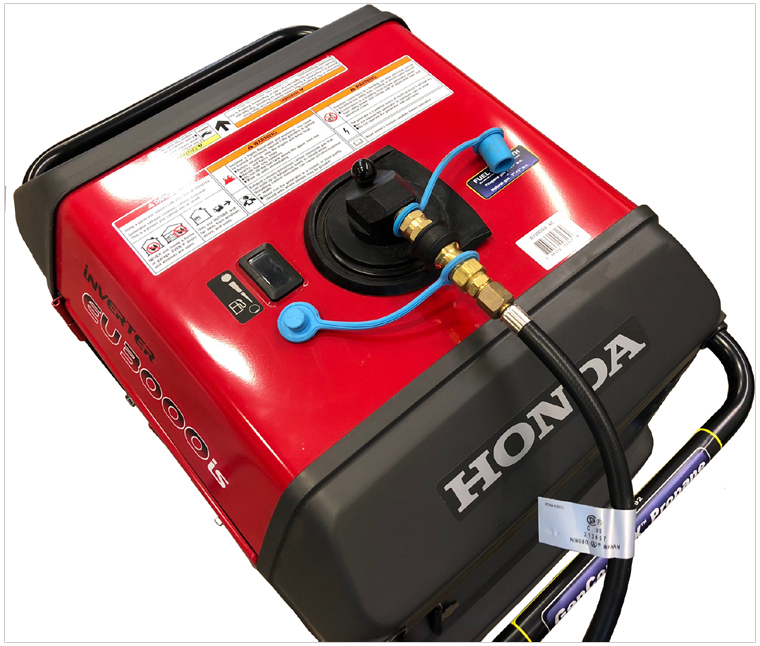 This unit features a Honda GX 200 engine, brushless generator, residential grade muffler, oil pressure shutdown, dual element air cleaner, receptacle panel with 120 V vibration isolator mounts, electric start, 3 year warranty and low pressure propane regulator with 6' hose plus quick disconnect fitting.